A Floorwright's only advertising is his or her reputation, as you know. Remember how you found your Floorwright and the information that was important to you at the time? Well, how's-about taking a turn? If you would be so kind--somebody somewhere would really appreciate your feedback as they try to make a very important decision. And don't feel like you have to leave out a thing, okay? Even share a photo or two, if you please. the Local is NOT an advertising agency. Bad flooring continues to be sold, and, unfortunately, bad floor guys continue to be hired. Why? Deceptive advertising has a lot to do with it. We understand it's a supply and demand world. Bad flooring will go away. So will bad information and shoddy workmanship. ONLY when there is no longer a demand for them. This is where you come in. We need your marketing help. ...share your Floorwright's name and whether he/she installed, refinished, or maintained your wood. Floorwright, Jerry Adamsson Salvaged, Repaired and Refinished our Hidden Hardwood Floors! The journeyman Floorwright is dedicated to the longest life of your wood floor or staircase and thanks you for your homeowner reviews. Your project is still ahead of you? Don't forget to take those pictures BEFORE the project begins! 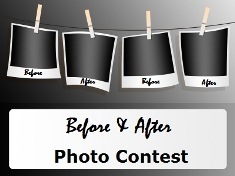 Did I mention the Before and After Photo Contest is always on? "create demand for the good stuff by eliminating demand for anything less!" Word-of-mouth helps us all, right? These are exciting times as the curriculum shapes up for future training and certification of Floorwrights. Because the old director is getting even older, these future trainings will move more and more to a video format for broader availability. I am still learning, even after all these years. It never fails that, on the day I decide to leave my camera at home, something comes up in the field I have never seen before.